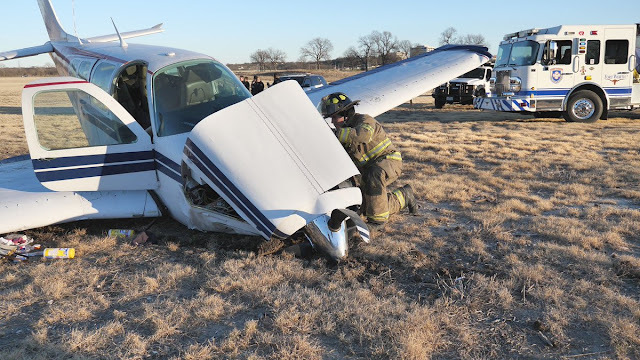 On January 27, 2019, at 1634 central standard time a Beech A36, N36PS, lost engine power during a practice instrument approach to Fort Worth Meacham International Airport (FTW), Fort Worth, Texas. The airline transport certificated pilot made an off-airport forced landing in a field 5 miles southeast of FTW. The pilot sustained minor injuries, and the passenger was seriously injured. The airplane sustained substantial damage to the forward portion of the fuselage. The airplane was registered to and operated by the pilot under Title 14 Code of Federal Regulations Part 91 as a personal flight. Visual meteorological conditions were reported at the airport about the time of the accident, and no flight plan had been filed for the flight that originated from Angel Fire, New Mexico (AXX) and was destined for Arlington Municipal Airport (GKY), Arlington, Texas. The pilot told the inspector that before departing AXX, both fuel tanks were 3/4 full. When the engine lost power, he switched the fuel selector valve "to the other tank" and attempted to restart the engine, but to no avail. He lowered the landing gear prior to landing. 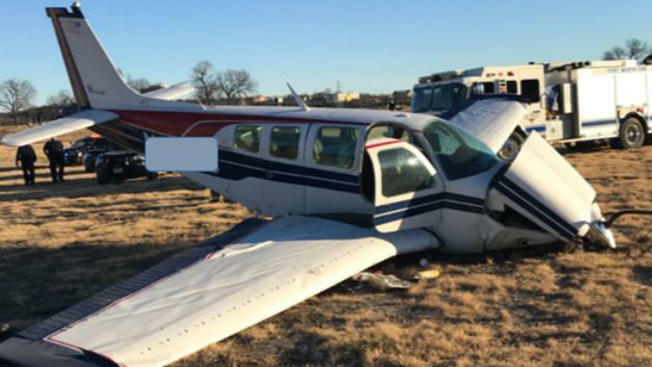 A small plane made an emergency landing in an east Fort Worth field on January 27th after the pilot reported the plane's engine lost power, according to the Federal Aviation Administration. The plane is a Beechcraft A36 Bonanza, registered to a man from Tullahoma, Tennessee, according to FAA registration records.